Quest for ‘security’…at what cost? Has the ‘benefit’ of all this additional ‘security’ been worth the cost? Spending on ‘public order and safety’ by the Commonwealth Government has risen by 230% since 2000 – 01 – a larger increase than in any other category of spending apart from transport and communications. 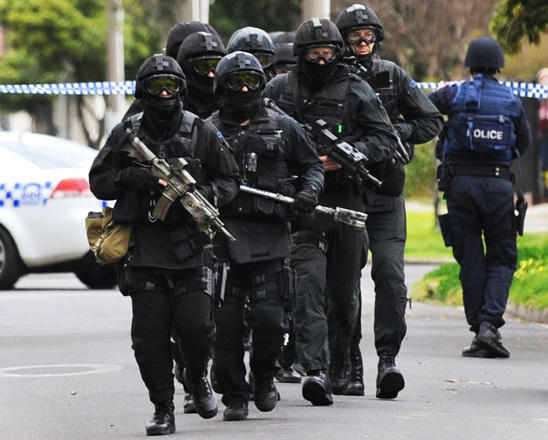 Within that category, the Australian Security Intelligence Organization ’s budget has increased by 573% (from $76mn to $512mn); the Australian Secret Intelligence Service’s budget has increased by 712% (from $43mn to $346mn); while the Australian Federal Police budget has grown, despite some cut-backs in the 2014-15 Budget, by 230% (from $584mn to $1.9bn). Total Commonwealth Government spending rose by 147% over the same period.